BrandsEye is the world's leading opinion mining company. We use a proprietary mix of search algorithms, crowd-sourcing and machine learning to mine online conversation for sentiment and the topics driving that sentiment. We used this approach to correctly call the outcome of the US Elections and Brexit. "Excellent service; superior BI at my fingertips"
That some of my clients are slow on the uptake to realise the incredible value Brandseye can add to their events and products. One of the added pressures of working on a sporting event is that your sponsors and partners expect a tangible measure of their brand reach through your online conversations. "A fantastic company with awesome people that delivers a phenomenal product!" The ease of use and always available support. The BrandsEye team (thanks Amy!) have always been on standby for queries we’ve had and have always come forward with great suggestions. There really isn’t much to not like. I guess from a consolidation point of view we’d like to reply from within BrandsEye - but this may or may not already be happening. If you’re looking to monitor your brand online and draw better insights on what to do as a business, you need BrandsEye. BrandsEye helped setup our reporting templates which are now used on a monthly, quarterly and ad-hoc basis when needed. It also helps us make invaluable decisions in terms of planning around content and what campaigns we should run, simply because BrandsEye has given us a better overview of our audience. 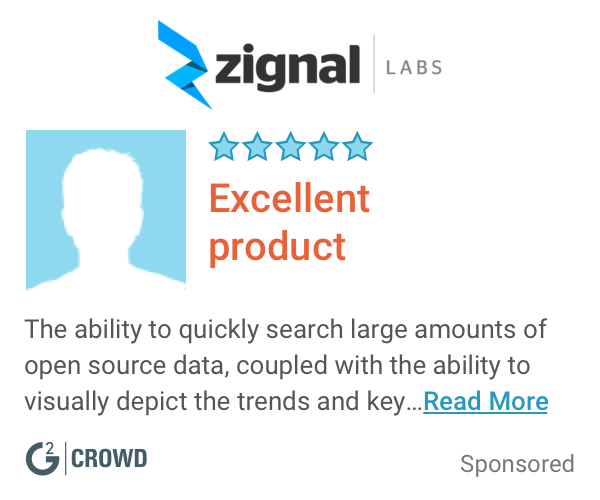 "Great for ORM and monitoring with amazing support." The ORM aspect of the tool is fantastic and if set up correctly, no mention or sentiment, good or bad slips through the cracks. The platform also uses a crowd to validate sentiment which is fantastic. By far the most powerful and comprehensive package in this price range at the moment. Not much. I did find the training process a bit tough in the start but the team were very patient and are always available to assist when there I am unsure on how to do something. If your brand needs to monitor mentions online, this is a must-have and not just a nice-to-have. The tool currently helps us improve our strategy with regards to best times to post, which demographics are engaging most and as well as analysing our response times while also being a key component of our ORM. "Great product with personalised support"
By far the best feature is the ease of use and the intuitive nature of the BrandsEye platform. It is very easy to create reports and then export sections, raw data or even individual graphs. Nothing to dislike about the product or platform, but i would like to see the ability to create graphs and comparisons of data other than the standard templates that are provided. I have found myself exporting data and creating my own graphs from excel. This being said the exporting process is simple and the exports are well labeled and easy to manipulate. 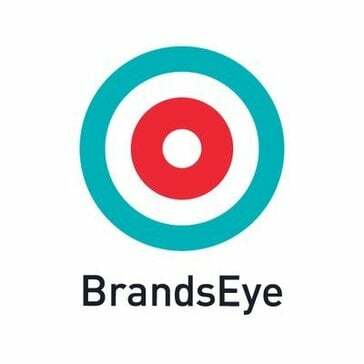 I can definitely recommend the BrandsEye social media platform. It is easy to use, the support and customer service is great and it has saved me numerous hours every month having the BrandsEye crowd verify that the correct content is being picked up and that the sentiment of the coverage is correctly attributed. The value of the crowd and having actual people verify content adds immense value. The system also keeps learning and improves the quality of the reports that I generate for my clients. "Phenomenal to the Nth degree"
I love the fact that nothing slips by when you are administering social listening via Brandseye. It is fantastic to have a tool that can be filtered on such a granular level. Having worked as a digital marketer for scores of years, I have used several tool and none of them hold a candle to Brandseye. To be able to have access to such granular data is a game-changer of note. Apart from it technological prowess, I am fortunate to say that I have incredible support from Brandseye. Ricky Botha and Amy Mitchley have been nothing but helpful and courteous.As a support team they always go out of their way to assist me. I can whole heartedly say nothing.... My experience with the product has always been great. If you are serious about digital implementation, your digital eco-system is incomplete without a full perspective on conversations surrounding your brand. Brandseye will supply you with the relevant data to make educated/strategic decisions. The main area that it has helped with is pulling insights. By supplying us with viscous and accurate data, we are better equipped to conjure strategies, analyse and identify audiences and articulate sentiments on various topics. This sort of information is invaluable when it comes to aligning our campaigns with client objectives... In addition, it also assists with delivering more insightful campaign reports. "Brandseye is a fantastic company with a great product"
Cons is that it is always quite difficult for me to set up a dashboard and I always have to ask Matt to do it. They also do not have a section for scheduling as yet but I am sure they will. Please get a scheduling tool guys. It would be so much easier to use as opposed to replying from one platform and then scheduling from another. "Accurate and insightful social analytics product "
What I like most about the tool is that it gives my clients a competitive advantage I especially like the competitor analysis functionality as it allows me to view my clients against other players in their industry. Due to the amount of information, there is an initial learning curve, but if one invests the time to learn the platform the benefits are huge. The tool not only allows one to track what is being said about them and their competitors, but to find out what the conversations are really about, allowing one to eliminate the social noise and ensure my clients have accurate data that they can use to make informed business decisions. Through their crowd integration into their software the mentions that go through the system take slang, sarcasm and local vernacular into account which is rather unique and ensures I get an accurate sentiment based view for my clients, allowing them to know how people really feel. "Rocking the Daisies and BrandsEye"
Not all new social platforms are covered, like SnapChat, for example. But we do understand the limitations of API's for certain platforms. Everyone I have interacted with BrandsEye has an awesome attitude and infectious passion for their industry. Working with them has introduced me to some incredible people! I am not sure of their recruitment strategy but they certainly get it right! Hardly anything. I would like to see more options for layouts and design choices or graphs etc, but the platform is outstanding! Tracking trends and sentiment as well as social media reach and ROI for specific campaigns. "BrandsEye is great for all your social media tracking needs." If you are looking for an analytics product that doesn't just monitor, but truly listens to online conversations letting you know the sentiment towards a brand or issue and more importantly what is driving that conversation then BrandsEye is the ideal tool. We're still trying to figure out the AVE to best explain it to our clients. Analytics, tracking and the ability to quantify CNBC Africa's social business services. "One of the most effective tools I've used for online sentiment analysis and monitoring"
Really good UI and fantastic, helpful support system. It's always great to know there's someone on the other side who will deal with your query quickly and efficiently. I have only been using the platform for a few weeks. It can be tricky to wrap one's head around the terminology but some extra training and the Wiki Guide are extremely helpful to have if necessary. BrandsEye will make reporting to donors/funders on reach and value easy to do. It's professional and solves the question of what reach we have on our social platforms and in social/ PR campaigns. "BrandsEye has exceeded our expectations from day one! Quality and expertise all in one"
Currently, I have no dislikes with the platform. Social media listening is critical to any business and BrandsEye has allowed us to formulate our strategy with the insights gained from the platform. We are constantly learning from using BrandsEye to listen to our customers. "Superb service and accurate information"
All the in-depth options for analytic reporting, daily reports being sent that allow you to check on your brands and products without having to access the system. Also the overall service provided by BrandsEye team. It would be wise to incorporate a tool to messure SnapChat since some brands are moving towards that specific social media platform. Real time responses from the audiences of each of the clients social media platforms being tracked. "An advanced, detailed reporting and monitoring online sytem - which can be suited to your needs." Friendly staff, always someone to help. Nothing is too much trouble. Reports are accurate and detailed. It's a lot o "learn" for the new user. As the system is so detailed and your options vast - sometimes you can get lost in the navigation, setting up of things. solving - online media monitoring, tracking of social media, influencers and accurate event reporting. "We use BrandsEye to provide ORM services for various clients." Ease of creating and managing dashboards. Useful information within reports, especially automated sentiment allocation. Login via an emailed link is frustrating. Listing to online conversations about our clients' brands. "It is best for insights like an ad and it articulate news around the globe." I like to engage to the real insight stories. When you have to appeal for an obvious topic. Yes, 100% - It's good for social media community, where you get to know more about the brand awareness and some political structures. * We monitor all BrandsEye reviews to prevent fraudulent reviews and keep review quality high. We do not post reviews by company employees or direct competitors. Validated reviews require the user to submit a screenshot of the product containing their user ID, in order to verify a user is an actual user of the product. Hi there! Are you looking to implement a solution like BrandsEye?